Mia A. 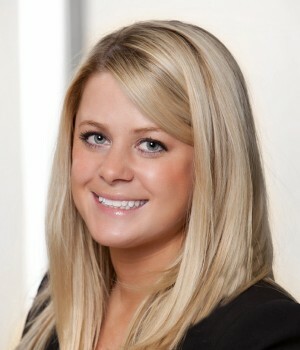 Storm focuses her practice in commercial litigation and has successfully represented clients in a broad range of complex business disputes. Mia maintains a national trial practice involving contract disputes, partnerships disputes and dissolution, deceptive trade practices, trade secret misappropriation, and all types of employment matters. Mia handles fiduciary matters, real estate disputes, construction liability, and international and complex marital estate litigation. Mia has significant experience in class action litigation in state and federal court and has jury and non-jury trial experience, as well as arbitration experience. Defended wide range of employers, throughout Texas and the United States, in cases involving allegations of discrimination, harassment, workers’ compensation retaliation, FLSA violations and other claims arising out of the employee/employer relationship. Represented and advised clients in disputes related to real estate transactions, including but not limited to suits involving multifamily development, homeowner association disputes, environmental disputes, partition suits, construction defects and premises liability. Represented clients on both sides through successful certification and decertification of class and collective actions. Defended range of entities and individuals in disputes over non-competition, non-solicitation, and non-disclosure agreements, as well as allegations of breach of fiduciary duty and misappropriation of trade secrets. Represented multiple parties in complex estate litigation involving significant assets, issues involving complex tracing, family-limited partnerships, trusts, corporate buy-sell agreements and breach of fiduciary duty claims. Represented an executive of a company in a dispute related to the executive’s exit from the company. Represented clients on all sides of Title IX matters involving sexual misconduct procedures in a university context. Represented company in an international arbitration against a partner involving claims of fraud, breach of fiduciary duty, and breach of contract. Represented clients in international jurisdictional disputes including those arising under the Hague convention and international child custody disputes.